It is not at all unusual for European royal families to have bloodlines and names from foreign nations. After all, it was common for European dynasties over the centuries to use marriage as a political tool for empire-building. The Austrian Habsburgs even boasted of their talent in this regard: "Let others wage war; you, happy Austria, marry. "* (See Austria Today for more.) But few people are aware of how recent the British royal family name "Windsor" is, or that it replaced very German names. *The Habsburg saying in Latin and German: "Bella gerant alii, tu felix Austria nube." - "Laßt andere Krieg führen, Du, glückliches Österreich, heirate." The Windsor name now used by Queen Elizabeth II and other British royals only dates back to 1917. Before that the British royal family bore the German name Saxe-Coburg-Gotha (Sachsen-Coburg und Gotha in German). Why the Drastic Name Change? 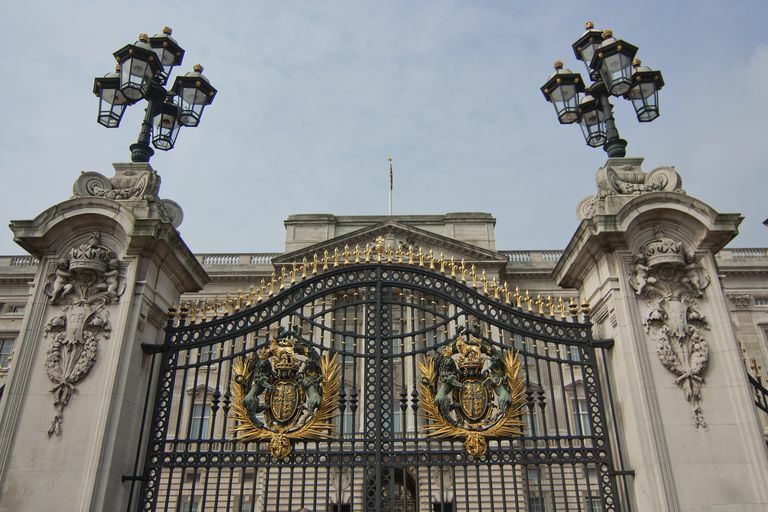 Queen Elizabeth II confirmed the royal Windsor name in a declaration following her accession in 1952. But in 1960 Queen Elizabeth II and her husband Prince Philip announced yet another name change. Prince Philip of Greece and Denmark, whose mother had been Alice of Battenberg, had already Anglicized his name to Philip Mountbatten when he married Elizabeth in 1947. (Interestingly, all four of Philip's sisters, all now deceased, married Germans.) In her 1960 declaration to the Privy Council, the Queen expressed her wish that her children by Philip (other than those in line for the throne) would henceforth bear the hyphenated name Mountbatten-Windsor. The royal family's name remained Windsor. The British House of Saxe-Coburg-Gotha (Sachsen-Coburg und Gotha) began with Queen Victoria's marriage to the German Prince Albert of Sachsen-Coburg und Gotha in 1840. Prince Albert (1819-1861) was also responsible for the introduction of German Christmas customs (including the Christmas tree) in England. The British royal family still celebrates Christmas on December 24th rather than on Christmas Day, as is normal English custom. Queen Victoria's eldest daughter, the Princess Royal Victoria, also married a German prince in 1858. Prince Philip is a direct descendant of Queen Victoria through her daughter Princess Alice, who married another German, Ludwig IV, Duke of Hesse and by Rhine. Victoria's son, King Edward VII (Albert Edward, "Bertie"), was the first and only British monarch who was a member of the House of Saxe-Coburg-Gotha. He ascended to the throne at the age of 59 when Victoria died in 1901. "Bertie" reigned for nine years until his death in 1910. His son George Frederick Ernest Albert (1865-1936) became King George V, the man who renamed his line Windsor. Before becoming the first British king of the Hanoverian line in 1714, George I (who spoke more German than English) had been the Duke of Brunswick-Lüneberg (der Herzog von Braunschweig-Lüneberg). The first three royal Georges in the House of Hannover (also known as the House of Brunswick, Hanover Line) were also electors and dukes of Brunswick-Lüneberg. Between 1814 and 1837 the British monarch was also the king of Hanover, then a kingdom in what is now Germany. New York City's Hanover Square takes its name from the royal line, as does the Canadian province of New Brunswick, and several "Hanover" communities in the U.S. and Canada. Each of the following U.S. states has a town or township named Hanover: Indiana, Illinois, New Hampshire, New Jersey, New York, Maine, Maryland, Massachusetts, Michigan, Minnesota, Ohio, Pennsylvania, Virginia. In Canada: the provinces of Ontario and Manitoba. The German spelling of the city there is Hannover (with two n's).